Electronic Bill Presentment and Payment (EBPP) technology is spearheading significant global growth for Striata, the international electronic messaging specialist. “The key to this growth has been our PUSH e-billing model, which not only ensures customers receive their invoices and statements every month securely via email but also offers secure electronic payment directly out of the email documents,” said Striata CEO Mike Wright, who hosted Striata’s International Conference this month. Presentations at the conference demonstrated that sending invoices and statements securely via email is gaining significant traction in the United States and has great potential for Striata’s operations in Canada, Latin America, United Kingdom and Australia. The demand for PUSH e-billing by major billing organizations & financial services companies, has increased exponentially over the past year, with 7 industry leaders having signed in the past six months alone. Customers object to having to go to their biller’s website, remember yet another username and password, login and navigate in order to pay their bill. They’re used to being sent their invoices and statements every month, which is what the Striata ‘push’ eBilling model now does securely via email and a facility to make an electronic payment directly out of the secure electronic documents. These successes in North America have demonstrated that large billers continue to believe in EBPP but have been frustrated by the lack of customer adoption of the website PULL model. The adoption rates for Striata’s PUSH e-billing model are climbing steeply and are on track to outperform the original PULL model within months. With the PUSH technology, we can allow customers the choice and convenience of paying directly out of the email. It’s a simple process of sending an encrypted electronic payment authorization directly to the billing company or their chosen electronic payment provider. The emailed bills can look identical to their paper equivalents (including marketing inserts), and can be printed out and saved by those who want to pay them later or keep them as receipts. 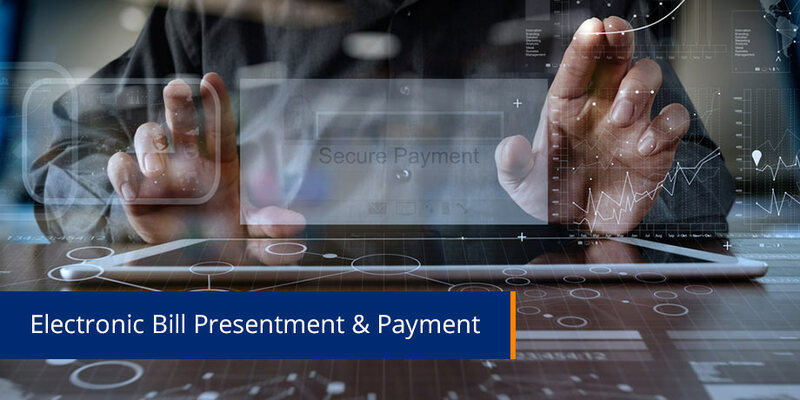 Recent North American experience shows that consumers are more ready to adopt email payments because of extensive and now almost complete pervasiveness of email usage. Of significant interest to companies considering implementing PUSH e-billing is the North American experience that 20% of customers pay their email bills within a day of receiving them. The experience of a Canadian public utilities company, after implementing their Striata electronic bill presentment solution was that the system enables cost-effective, personalized and secure electronic delivery of invoices while reducing costs, and improving customer service levels. Paper turn-off rates have increased by 6% in just 6 months. Savings have been generated on printing and postage costs and the utility is reaping benefits from more effective tracking and reporting on bill delivery and payments, as well as reductions in days sales outstanding figures. In addition to bills and statements, companies are using Striata’s PUSH technology to deliver other types of communication securely via email, such as insurance policy documents, agent commission statements and renewal notices. Delivering confidential documents via encrypted email is not only more secure, cost effective and environmentally friendly, but is also dramatically more convenient for customers.